Fox Sports One! Yes! I was so pumped to be shooting for them. The launch of this entirely new sports network is pretty exciting. I’ve always liked working for Fox Sports so I figured this would be no different. I was right, it wasn’t. 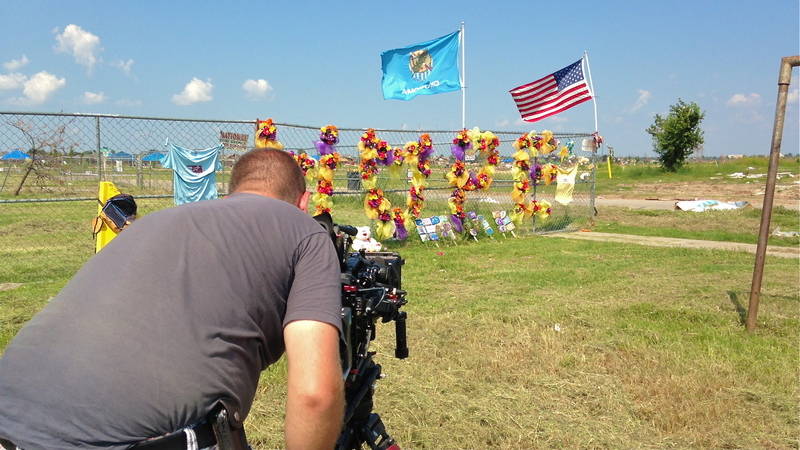 Armed with a Sony F3 and some super sick Arri Ultra Primes I made my way up to Moore, OK.
Interview with Coach Bob Stoops. It’s no secret that I love what I do. But anytime I get to work with prime lenses and a camera like the F3 my day automatically gets better. I used a flat picture style for this shoot. I was up there doing a story on the town of Moore and how the community is rebuilding after being hit by a devastating tornado. 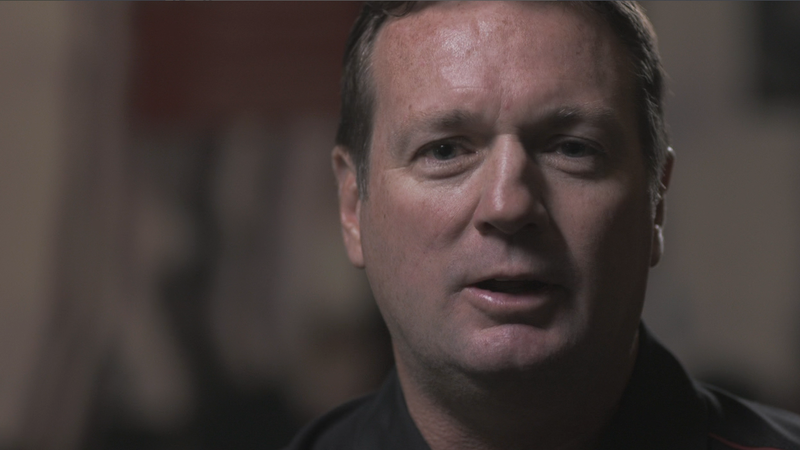 We shot interviews with some of the University of Oklahoma coaches who were affected by the tornado, including head football coach, Bob Stoops. Almost everyone has a story about where they were the day that tornado hit the area. 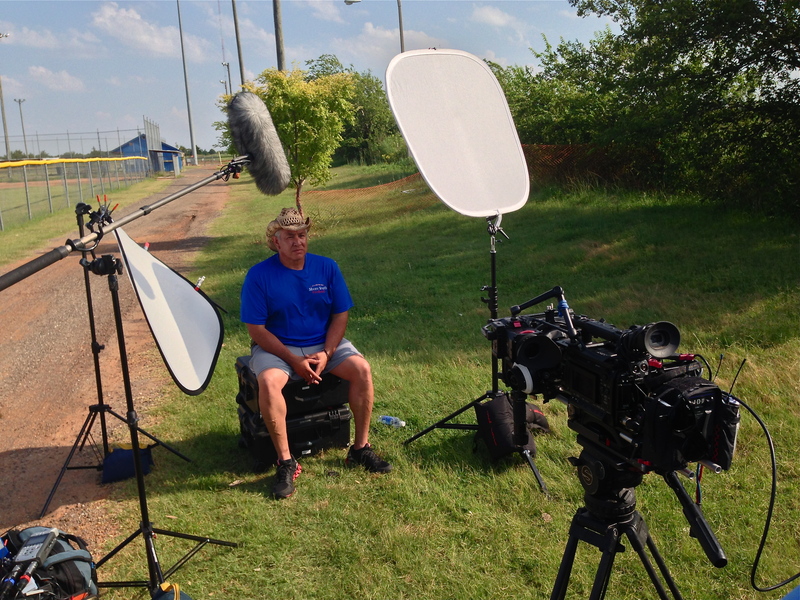 I used a couple of Kino Flos and a 650w Arri to light the interviews. The producer wanted that “confessional” look so all of our interviewees address their answers to the the camera. 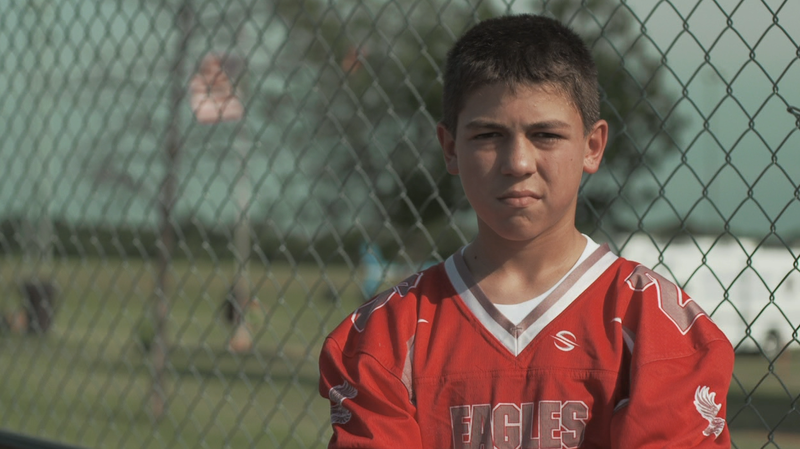 After about seven interviews we headed over to Moore’s recreational park, home to the town’s youth football league. Here is an example of one of our “face” shots. We just had the residents stare right into the camera. The producer wanted to shoot the faces of as many residents as possible. We got this done during Moore’s “Youth Football Kick Off Event. “ The next day we shot some more interviews. I used a scrim and reflector to get the job done. My day ended with shooting b-roll of kids playing football. I also shot some slo-mo footage. Sweet! Sometimes all it takes is a couple of reflectors. Once we were wrapped I copied all the footage over to the producer’s hard drive. It didn’t take long before he and I had a copy of the F3 footage. I can’t wait to shoot for these guys again. 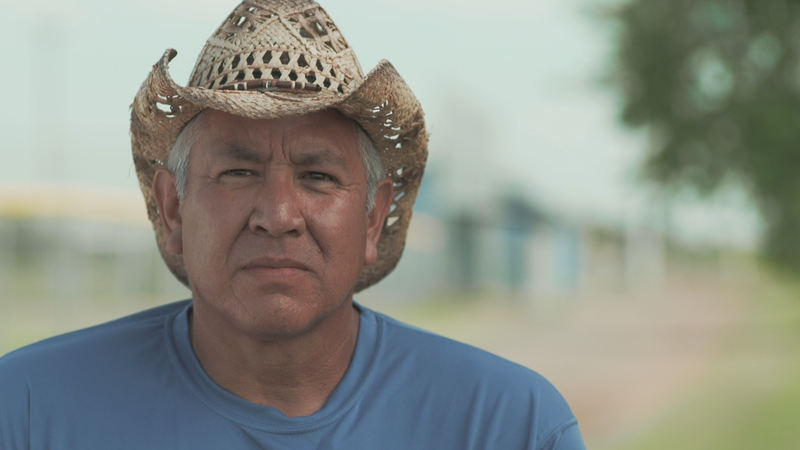 A screen grab from an interview we did with a Moore Youth League Football coach.